Lots of exciting things will be happening in 2018! 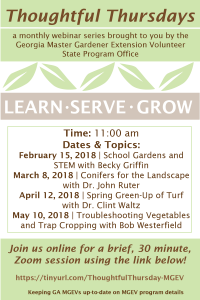 One of those is the start of a monthly webinar series brought to you by the Georgia Master Gardener Extension Volunteer State Program Office (SPO) for Agents & MGEVs called Thoughtful Thursdays. This is a webinar series designed by the SPO to provide a brief, 30 minute discussion each month to keep Agents & MGEVs up-to-date on pertinent information relating to the GA MGEV program. These Thoughtful Thursday sessions are conducted online through a meeting platform called Zoom. If you are not familiar with this program, don’t fret! It is relatively new to us too, but it didn’t take us long to get the hang of using it! It is user-friendly and a great way to have interactive online meetings! For instructions on joining a Zoom meeting, please refer to this YouTube video and set of instructions. 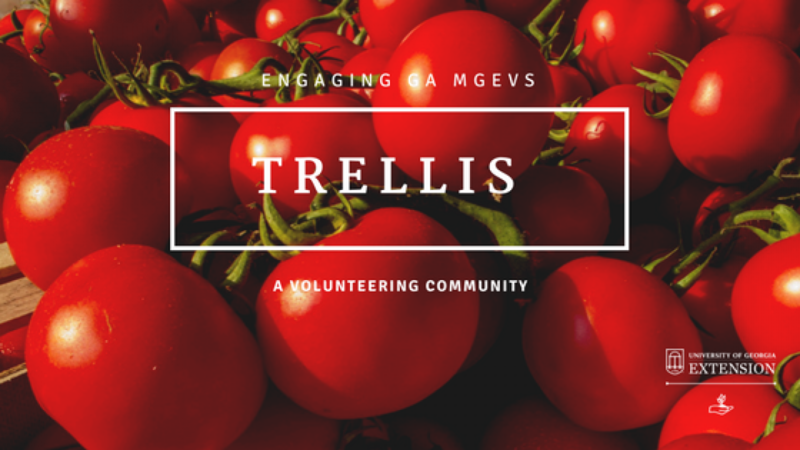 The tiny url you will be provided with on Thoughtful Thursday flyers and in emails from your Extension Office and the GA MGEV State Program Office directs you to the Zoom meeting invitation link. Once accessing the link, follow the prompts to download and launch Zoom. Then, you will enter the Zoom meeting room for our Thoughtful Thursday sessions. It is not recommended to you use your smart phone. It is best to use a computer for these sessions. Thoughtful Thursday sessions for MGEVs give us the opportunity to come together and discuss horticultural topics! 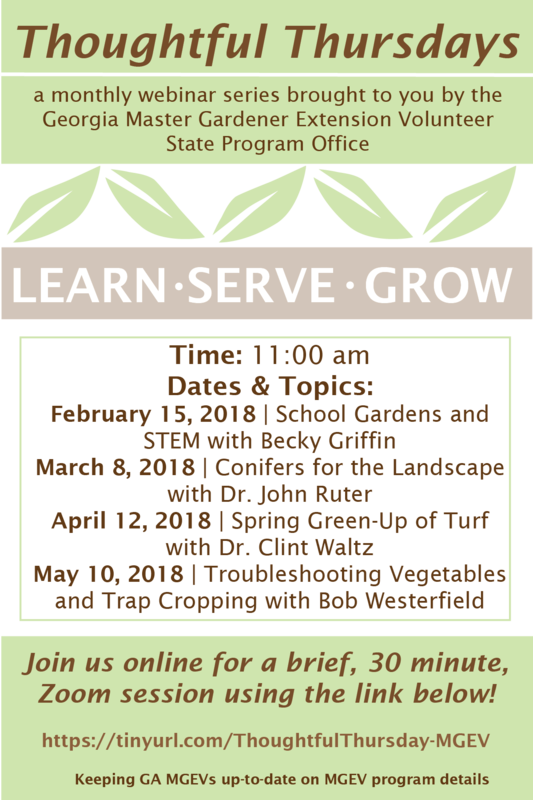 We are excited about using this outlet to connect with MGEVs around the state as UGA specialists join us to discuss school gardens, landscapes, turf, vegetables, and so much more! We look forward to you joining us! Add the below dates to your calendars! *more dates to be added! Posted in Continuing Education and Awareness, Thoughtful Thursdays, Training. Bookmark the permalink.